If you already know what you’re looking for, head on over to our database of modular home plans and find the home that’s right for you. If you’re not quite sure what to be looking for, read on. Perhaps the first concern on every new home-buyer’s mind is “Is the home big enough?” Since everyone’s needs are different, only you can answer that question. Modular building allows for much less expensive construction than plain old stick building, especially when it comes to something as simple as adding more square footage to your home. Some home styles lend themselves better to certain size homes. The Cape Cod style home for example lends itself to a more efficient use of space. Commonly found in colder, snowier climates, the distinctive steep roof is often accompanied by dormers, a combination that often allows for what would otherwise be an attic space to be used for bright and cozy bedrooms. Comparatively low square footage counts are generally made up for by the added utility of commonly placing all bedrooms on the smaller second floor. 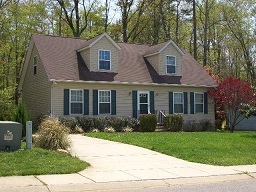 A Ranch style home, a style common in the Southern United States, is more flexible. Square footage can run from under 1,000 sq. ft. to well over 3,000 or 4,000 sq. ft. The ranch style home is only ever one story tall, but is usually the least expensive to build per square foot. If you only want a small home, or if you have lots of land to build on, a Ranch style modular house plan might be a good choice. 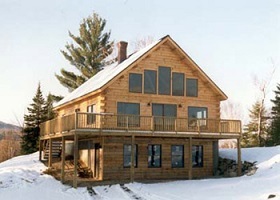 If you’re looking for a good house plan for a very snowy climate and you like a more rustic look to your home, the Swiss-inspired Chalet style modular home might be your best bet. Due to the steep slope of the roof, Chalet homes are often only have 1 to 1.5 stories, despite often being taller than a 2 story building. The high ceilings and huge windows that are the hallmark of a Chalet home give a wide open and spacious feel, but usually mean that you’re getting less square footage per dollar. Two-Story homes aren’t so much of a distinctive style as they are a size distinction. Any home with more than one story above ground can technically be considered a two-story home, even if it falls in to another category. If you’re building in an area where land is expensive or if you’d just rather build up than out, a two-story modular house plan might be right for you. Perhaps the fastest growing segment of the Modular Homes industry is the Modern modular home. The modular building process lends itself perfectly to the strong angles and bold designs that are common in modern house plans. Innovations in modular building have disproved the idea that modular building can’t be just as flexible as stick building. Anything that can be achieved with stick building can also be achieved in a modular home. Want to move walls, add rooms, or even tack on a whole second floor to your home? Do it! Changing any standard plan you find to fit your needs is the name of the game with modular house plans. You should also decide if you want to use standard or custom modular house plans.